NASA has confirmed there will be 15 straight days of darkness in November 2015.. FACT CHECK: Has NASA confirmed that there will be 15 straight days of darkness in November 2015? Claim: NASA confirmed there will be 15 straight days of darkness in November 2015. NASA has confirmed that the Earth will experience 15 days of total darkness between November 15 and November 29, 2015. The event, according to NASA, hasn’t occurred in over 1 Million years. Charles Bolden, who was appointed to head of NASA by President Obama, issued a 1000 page document explaining the event to the White House. 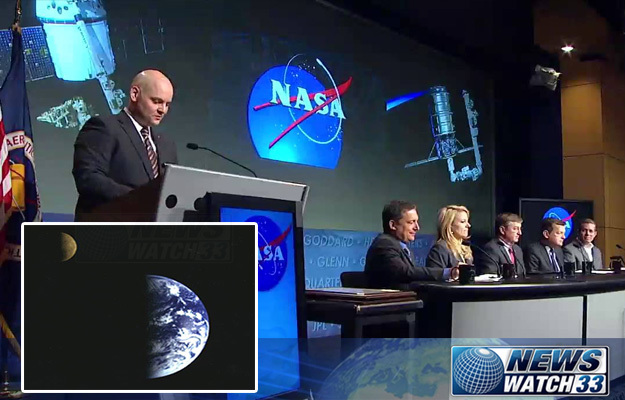 While Charles Bolden is a real NASA official, the Newswatch33 web site is not a legitimate news outlet. Newswatch33 is a fake news site began darkening the doorstep of social media networks shortly after the nearly identical NewsWatch28 fake news site shut down in mid-2015. Moreover, the “15 days of darkness” yarn was lifted from an older (debunked) viral rumor that has been around the online block several times before. Newswatch33 has hoaxed social media users a number of times since its inception, falsely claiming that supporters raised $4 million for the defense of Charleston shooting suspect Dylann Roof, that a girl was electrocuted by her iPhone’s earbuds, that Jay-Z and Beyonce purchased the rights to the Confederate flag, and that the federal government had impregnated inexpensive cigars with listening devices.